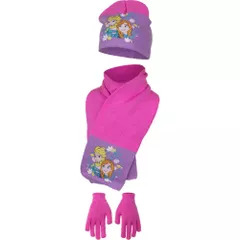 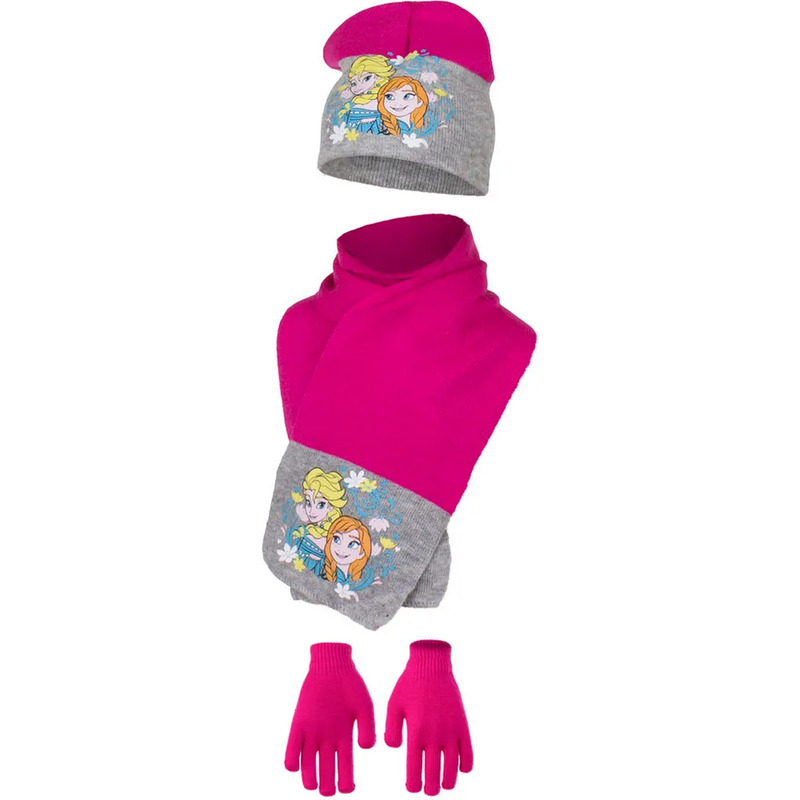 Girls hat, scarf and gloves set. 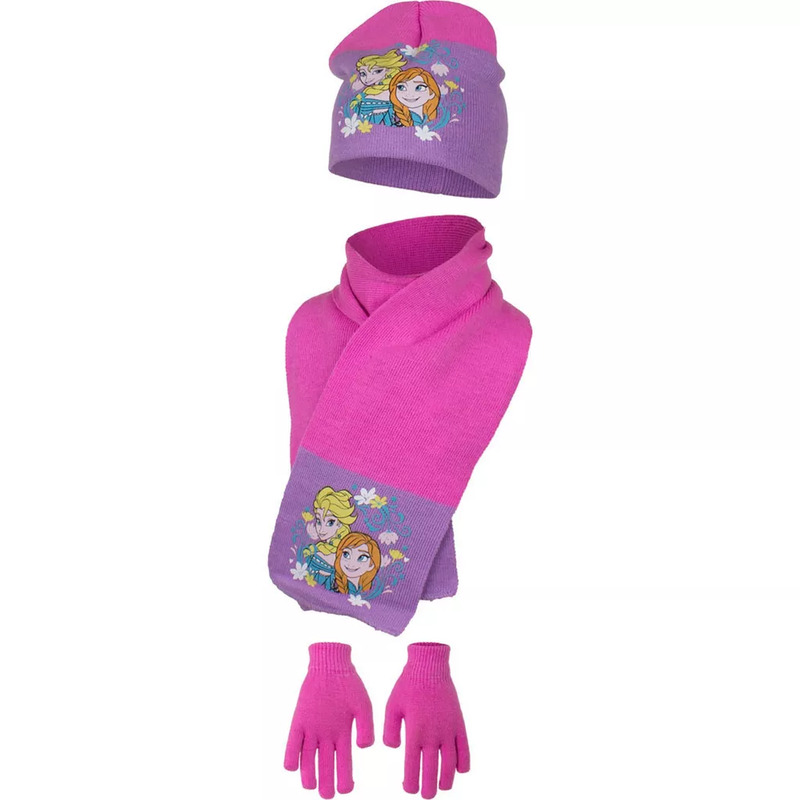 Features Elsa and Anna design. 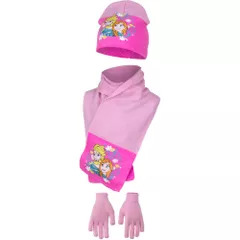 Hat: 75% Acrylic/25% Polyester, Scarf: 90% Acrylic/10% Polyester, Gloves: 97% Acrylic, 3% Elastane.